Saturday, March 3, 2018, 5:00 p.m. – 6:00 p.m.
It’s been said that Edwin Fleisher did not like vocal or choral music. While there’s a wealth of orchestral music with voices, none of it made its way into the Fleisher Collection of Orchestral Music during Fleisher’s life. The reason why is that in 1909, Edwin A. Fleisher didn’t start the "Fleisher Collection” per se—he started the Symphony Club. The purpose of the Club was to teach orchestral literature to instrumental students who at that time had no training available to them in Philadelphia schools, which only had choirs but no orchestras. Fleisher bought a townhouse and converted it into a hall and classrooms for symphonic repertoire and chamber music. He hired conductors and teachers of theory and harmony, bought the music that became the Fleisher Collection, and gave it to the Free Library of Philadelphia in 1929. At that time, only the Symphony Club could borrow this music. Individuals could only study music on site. Over the years, the borrowing rules changed to reflect the growing public interest in the world-renowned collection and by the 1950s, other groups were allowed to borrow this music. Fleisher died in 1959, and soon after, borrowing fees were instituted to establish a fund separate from the endowment he left, so that more staff could be hired and more materials purchased. By now, the Collection was lending internationally. Many orchestras contacted it for their entire seasons, which included orchestra with voice and orchestra with chorus. The Free Library’s separate Henry Drinker Collection of Choral Music included some titles with orchestral parts, but it was evident that Fleisher needed to simplify procedures for its patrons. So in the late 1970s, the Fleisher Collection began to add choral and vocal works with orchestra. Some of the first purchased vocal works were by Gustav Mahler, such as Des Knaben Wunderhorn and Kindertotenlieder. We heard Mahler last month as we looked at Leonard Bernstein’s 100th anniversary. The recent tragic school shootings in our country points our attention to another work of Mahler’s, Kindertotenlieder, or Songs on the Death of Children. Friedrich Rückert wrote 428 grief-inlaid poems from 1833–1834, after two of his children died of scarlet fever. 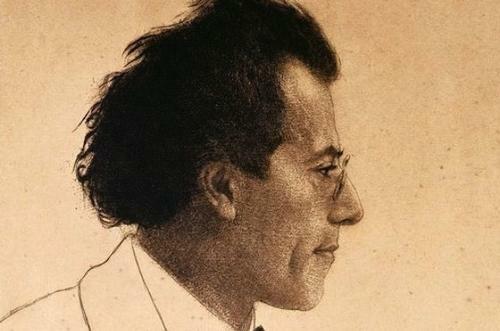 Mahler chose only five poems, but kept to the same trajectory of pain, fantasized resuscitation, and resignation rising above sorrow. Alma and Gustav Mahler welcomed a daughter, Maria, right around the time of the premiere. Four years later, Maria died. Mahler said he never could have composed Kindertotenlieder after that. 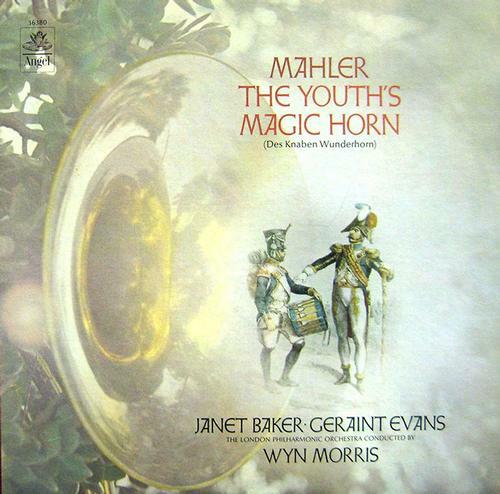 The Youth’s Magic Horn is a collection of folk poems, of which Mahler set many to music over the years. Some made their way into other works and some were published separately, but 10 are sung together or apart as Des Knaben Wunderhorn, in different keys and by different voice types. It is brilliant, humorous, flexible writing, filled with the effervescence of youth. In the many years of producing Discoveries from the Fleisher Collection, we hadn’t programmed any Mahler until last month. We have become acquainted with vocal music here and there on the show, but it’s a joy to visit with Mahler—with music of joy or sorrow—in the vocal corner of the Collection that for 50 years hadn’t existed. 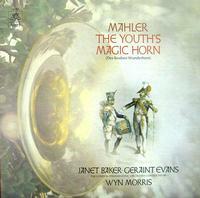 The Youth’s Magic Horn is a collection of folk poems, of which Mahler set many to music over the years.